South African unions have slammed the government for signing deals with independent power producers on behalf of Eskom. The university cited Dr Toyosi Craig, a project manager with AEE Power in Johannesburg who recently received his doctorate in industrial engineering at Stellenbosch, as saying mass deployments of CSP would not only provide clean and supporting energy to the grid, but also boost the local manufacturing of CSP components, support job creation, and create an avenue to export electricity and know-how to neighbouring countries. 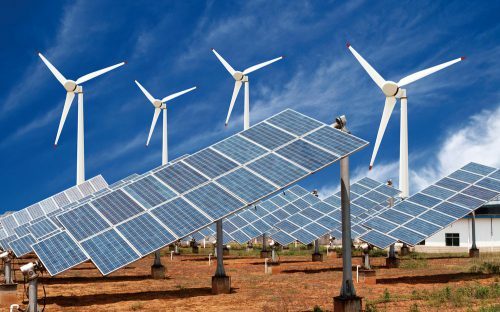 “This is worrying given that South Africa wants to generate 42% of its electricity from renewable energy technology sources by 2030,” he said. He said if CSP was promoted, job losses due to the adoption of renewable energy would be reduced as experts from other conventional technologies could transfer their skills “with little or no training”. South African unions have slammed the government for signing deals with independent power producers on behalf of Eskom, saying these will threaten jobs in the coal sector, which still accounts for the bulk of the country’s electricity. “The cost of developing CSP is reducing, the technology is, therefore, going to be the major energy source of the future, and the nations who do not recognise these may lose out,” Craig said. He said despite the available amount of sunlight in South Africa, electricity generated from solar energy was only a small percentage of the overall energy mix. “Given that Eskom is under pressure to provide electricity, the department of energy should let all renewable energy technologies compete fairly and justly (and) should also encourage the localisation of the CSP technology,” he said. He conceded, however, that despite its storage ability and capability to supply uninterrupted power for 24 hours, electricity from CSP was still more expensive than other renewable energy technologies. Craig said even though the adoption of CSP technology had been slow in South Africa because of political interest and global trends, high capital cost and tariff, and politicians’ lack of understanding of the values of CSP technology, the process could be accelerated through improved research, development, and demonstration plants. “Strategic policies, laws, and the right funding for research can help South Africa to fully maximise its CSP resources potential to foster cost reduction and market viability of its solar innovations,” he said.